You are viewing all comments posted under Minnesota. A tribute: I have the unfortunate responsibility of informing W.P. Goodnature of the death of Army CW3 Corey Goodnature. Army Chief Warrant Officer 3 Corey J. Goodnature, Died June 28, 2005 Serving During Operation Enduring Freedom 35, of Clarks Grove, Minn.; assigned to the 3rd Battalion, 160th Special Operations Aviation Regiment (Airborne), Hunter Army Airfield, Ga.; killed June 28 when an MH-47 Chinook helicopter crashed while ferrying personnel to a battle against militants in eastern Afghanistan. Rest in peace. We honor Army CW3 Corey Goodnature and, also, his family for their service and dedication to our country. 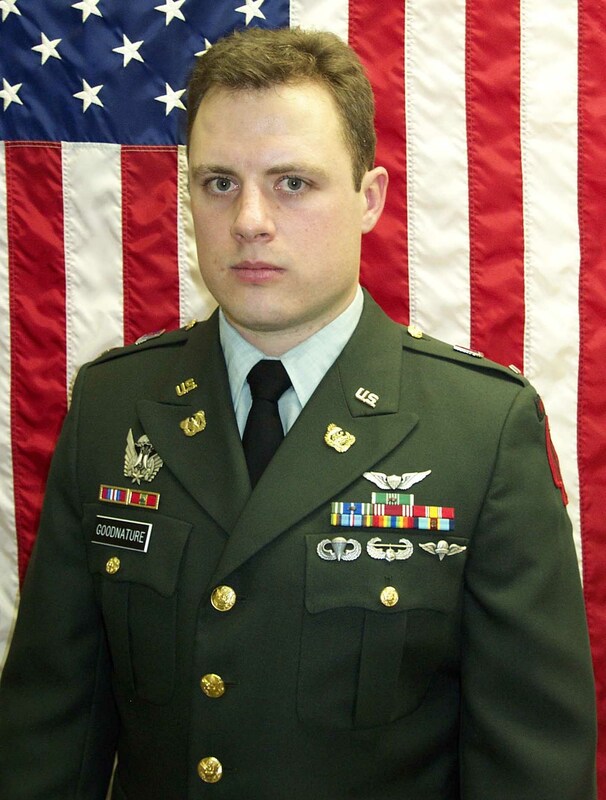 Army Chief Warrant Officer 3 Corey J. Goodnature, Died June 28, 2005 Serving During Operation Enduring Freedom 35, of Clarks Grove, Minn.; assigned to the 3rd Battalion, 160th Special Operations Aviation Regiment (Airborne), Hunter Army Airfield, Ga.; killed June 28 when an MH-47 Chinook helicopter crashed while ferrying personnel to a battle against militants in eastern Afghanistan. Our deepest condolences. Great picture.